Whenever litigation arises that involves physicians or medical businesses, caution is in order. Many examples exist where inexperienced attorneys turned a civil health care litigation into a criminal investigation by the U.S. Attorney’s Office. Don’t let this happen to you. If you face the unfortunate situation that you have to defend your practice and your good name, you don’t want to experiment and risk chaos. Common health care litigation matters—such as partnership disputes among physicians, former employee suing or threatening to sue a medical business, unfounded allegations of anti-kickback violations, defamation, stealing of trade secrets and treatment protocols, qui tam and whistleblower lawsuits to expose or defend against Medicare Fraud— should be handled by experienced attorneys with a proven track record. Oberheiden, P.C. is a team of former Department of Justice Trial Attorneys, former Assistant and Special Assistant United States Attorneys in charge of health care fraud investigations, former prosecutors, and experienced litigators. We offer clients a dedicated approach that combines health care law expertise and proven litigation results. We handle both civil and criminal health care law cases. How Many Health Care Law Matters Have You Handled? How Many Litigations Have You Handled? Oberheiden, P.C. : no paralegals, no junior lawyers, senior lawyers only. This is what you need to look for. If you believe you have a cause of action against another party or you have been sued, and the case involves the health care industry in any way, you should hire a lawyer who has the experience and the skills you need. One, you need to find a skilled litigator who has courtroom experience and skill and can confidently lead your case through pleadings, discovery, pretrial motions, and, ultimately, a trial before either a jury or a judge. Two, you need an attorney who knows the ins and outs of health care laws and regulations and who can spot the potential pitfalls in the case in order to protect your litigation interests as well as your business interests, so that the case does not lead to unanticipated exposure in other areas. In other words, you don’t need a health care lawyer and you don’t need a trial lawyer – you need both in one. 1. What percentage of your litigation practice is health care related? While it is not necessary only to consider attorneys who practice health care litigation exclusively, you will want to be sure that the attorney handles this type of case frequently enough to know the latest regulations and laws in the health care arena as well as in the local courtroom. The more you need to explain to your lawyer, the more expensive it will get. The less your lawyer knows about health care law, the greater the risk that this litigation will turn into a big experiment. Do you really want to experiment? 2. How many cases have you handled involving this type of claim? Health care litigation encompasses a broad spectrum of cases covering False Claims Act accusations, Stark Law disputes, ERISA issues, employment discrimination, HIPAA violations, contract disputes, reimbursement litigation, and disputes over licensing, credentialing, and staff privileges. Be sure your attorney is familiar with the type of legal issues presented by your particular case and has the specific track record for your situation. For example, if you are defending a whistleblower/qui tam case, insist on getting concrete and exact answers as to your lawyer’s experience and track record in defending those types of federal cases. 3. What type of client do you typically represent? In addition to familiarity with the law involved, you will want to know whether your attorney is familiar with the type of business you do. Does he or she understand the structure of your business? Does he or she know how your billing system works? Again, the health care industry is known to be complex. You can simply not expect an ordinary litigation lawyer to know as much about health care insurance billing, HIPAA, or anti-kickback challenges as someone that handles these matters every day. 4. How will you bill me? Before you sign an engagement letter, make sure you understand exactly how the attorney’s fees will be calculated. How much is the retainer, and how often will you be expected to replenish it? Will your case be billed on a flat fee either by month or by the progress of the case, or will it be billed by the hour or on a contingent fee basis? How often will you receive a bill? Will junior lawyers be allowed to bill on your case? Are paralegals or senior attorneys your day-to-day contact? Will you have to pay for every lawyer that works on your case or just the lead attorneys? 5. Which attorneys will work on my case? 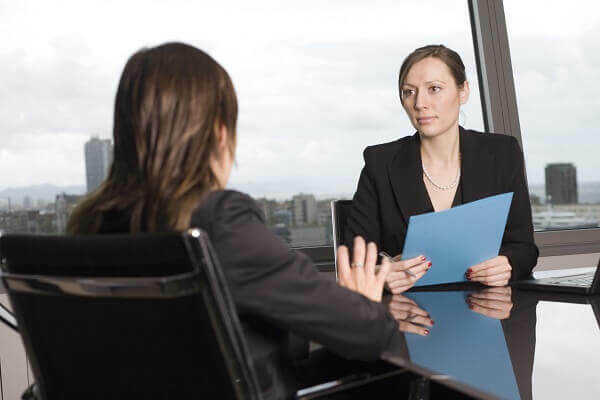 Lastly, with many firms, you should not assume that the lawyer who you initially contacted or the one that you meet at the initial consultation will be the person making court appearances on your behalf, let alone doing the day-to-day tasks necessary in litigation. Many firms rely on legal assistants, paralegals, or junior attorneys to handle discovery and other pretrial matters and motions. Although this work may be done at a cheaper price per hour, it will cost more in the long run when the work takes longer, is not properly supervised, or requires review of a midlevel or senior attorney, who then bills you again for the same work product. So, ask beforehand: will you use paralegals and junior lawyers or will experienced senior lawyers lead my case and represent my interests? The attorneys at Oberheiden, P.C., have prosecuted, defended, and, most importantly, won health care cases in courts across the country, including California, Florida, New York, Washington D.C., Arizona, Georgia, Colorado, Louisiana, New Mexico, Oklahoma, Tennessee, and Texas. The lawyers of Oberheiden, P.C. have made appearances in courts throughout the country. In each case, we strive to protect our clients’ interests in disputes that cover the gamut from intellectual property cases to bet-your-business breach of contract claims. Our lawyers have recently achieved these winning outcomes in courts, mediations, or administrative proceedings, or through settlement. Counsel to Nationally Operating Toxicology Laboratories in their Successful Defense Against a Qui Tam Case Filed by Former Employees. We Convinced the Government Not to Intervene and Got the Case Dismissed Without Any Civil or Criminal Liability for Our Client. Counsel to Pharmacy Consortium in Its Successful Defense Against a Qui Tam Case Filed by Former Employees. We Convinced the Government Not to Intervene and Got the Case Dismissed Without Any Civil or Criminal Liability for Our Client. Counsel to Nationally Operating Medical Device Company in Its Successful Defense Against a Qui Tam Case Filed by Former Employees. We Convinced the Government Not to Intervene and Got the Case Dismissed Without Any Civil or Criminal Liability for Our Client. Counsel to Laboratory Testing Facilities in their Successful Defense Against a Qui Tam Case Filed by Former Employees. We Convinced the Government Not to Intervene and Got the Case Dismissed Without Any Civil or Criminal Liability for Our Client. Represented A Physician in A Major Commercial Insurance Audit. Matter Resolved with No Civil or Criminal Liability for Our Client. Represented Major Health Care Service Company in Zone Program Integrity Contractor (ZPIC) Audits Regarding Allegations of Fraudulent Billing. No Civil or Criminal Liability for Our Client. Represented Clinical Laboratory in Billing Issue with Major Insurance Carrier. All Withheld Funds Were Paid to Our Client. Represented Pharmacy in Billing Issue with Major Insurance Company. All Withheld Funds Were Paid to Our Client. Successful Intervention on Behalf of Health Care Business. Obtained Restraining Order Against Former Employee Making Accusations of Stark Act Violations. Successful Intervention on Behalf of Health Care Business. Obtained Restraining Order Against Sale of Assets of Insolvent Hospital. Successful Intervention on Behalf of Health Care Business. Obtained Restraining Order Against Former Employee Violating Non-Competition Agreement. Successful Intervention on Behalf of Health Care Business. Obtained Restraining Order Against Management Company Attempts to Surrender Home Health Care License. Successful Intervention on Behalf of Health Care Business. Obtained Restraining Order Against Dissipation of Assets by Creditor. Successful Intervention on Behalf of Health Care Business. Obtained Restraining Order Against Competitor’s Tortious Interference with Toxicology Business. Successful Defense of Health Care Business Against Allegations of Civil and Criminal Copyright Violations. Successful Representation of Surgery Center in Disputes Over Trademark and Copyright Violations. Successful Representation of a Hospital in Connection with Claims Alleging Anti-Competitive Collaboration. Successful Representation of Clients in Connection with Allegations of Unfair Competition and Anti-Competitive Sales Practices. Successful Representation of Business in Connection with Allegations of Unfair Competition and Anti-Competitive Sales Practices. Successful Intervention on Behalf of Physician Inventor in Major Device Litigation. Case Settled Under Very Favorable Terms for Our Client. Successful Intervention on Behalf of Physician Inventor to Stop Patent Infringements. Successful Representation of Health Care Management Service Organization Against a Former Director Alleging Racial and Gender Discrimination. Our Team Obtained a Summary Judgment in U.S. Federal Court Dismissing All Claims of the Former Employee. Successful Representation of Health Care Service Group Against a Former Employee Alleging Violations of State and Federal Law. Our Team Obtained an Immediate Dismissal in a United States Federal Court. Successful Representation of Major Health Care Business Against a Former Executive Member. Obtained a Temporary Restraining Order and an Injunction. Successful Defense of Physician Against Unenforceable Non-Compete Restriction. Successful Defense of Health Care Business in Dispute Over Non-Compete Restriction of Former Key Sales Representative. For more information on our health care litigation practice and a free and confidential consultation, please contact Oberheiden, P.C. today. Every call will receive a response from one of our senior attorneys with years of health care and litigation experience. Do You Need a Health Care Litigation Attorney? Contact the experienced litigators of Oberheiden, P.C. today.